Fort St. John Mayor Lori Ackerman. When asked about the decision to present Mayor Ackerman with the Canadian Energy Person of the Year Award, Energy Council of Canada President, Jacob Irving had this to say: "Canadian communities that grow alongside energy development, manage unique development opportunities. Balancing economic highs and lows, while moving toward a sustainable future for both the community and the energy industry requires vision, tenacity and strong leadership. Canada is fortunate to have a leader like Lori Ackerman who sees the big picture and the local reality and is able to fit the two together for mutual benefit. 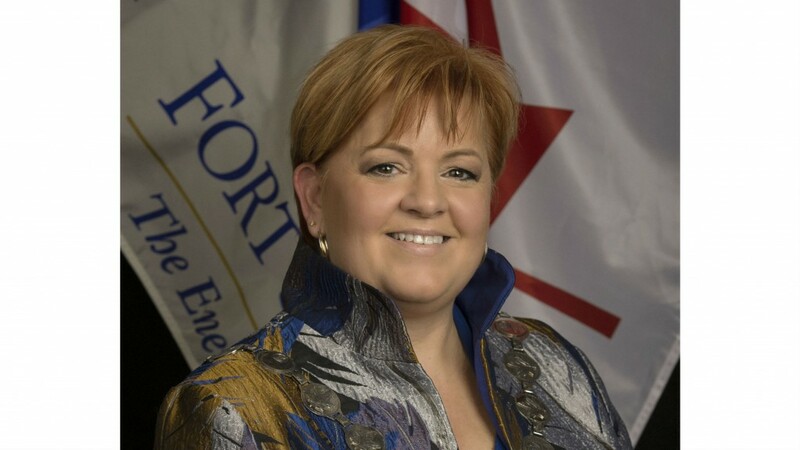 There is a lot we can learn from Mayor Ackerman, which is why we're so pleased she is the 2019 Canadian Energy Person of the Year."